← Pizza celebrates her 4th month on planet Earth! 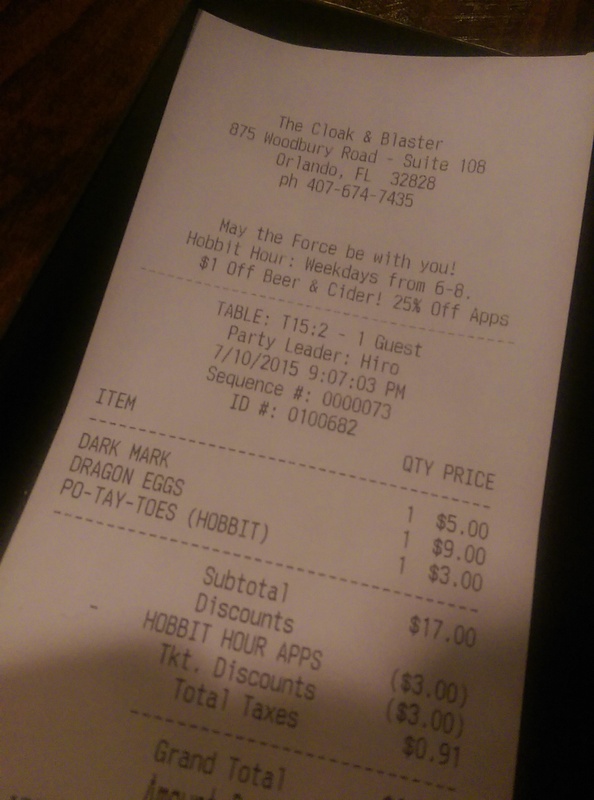 If you’re looking for a nerdy good time, The Cloak and Blaster pub in Orlando will take good, geeky care of you. So naturally I spoke “Mellon” and entered. I located my boyfriend over by the window, I guess it wouldn’t have been appropriate for just the two of us to sit at the main dining table. 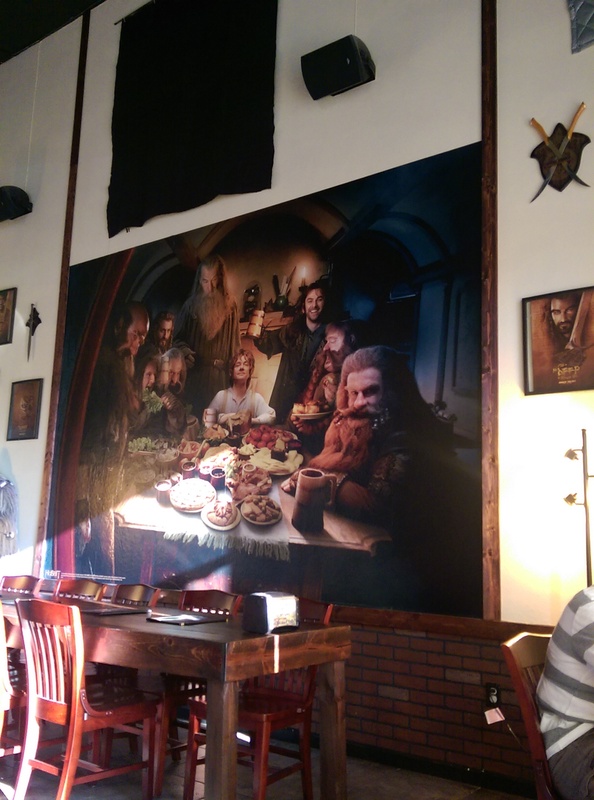 Which was situated below a gigantic mural of the dinner scene from The Hobbit. Our waiter was kind and extremely helpful, the service was all around good minus one not so kind waitress who decided to tell us 4 hours at a table was too long and people were waiting for a table (no one was waiting for a table). 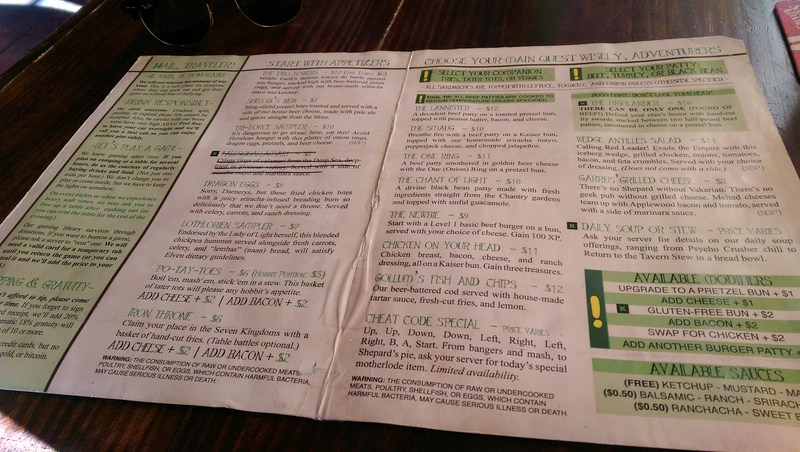 But, it was chalk full of puns and reference from almost any fandom imaginable, the drinks and beer cocktails were great and the bar food was decent in taste, but stellar in menu titles (i.e. 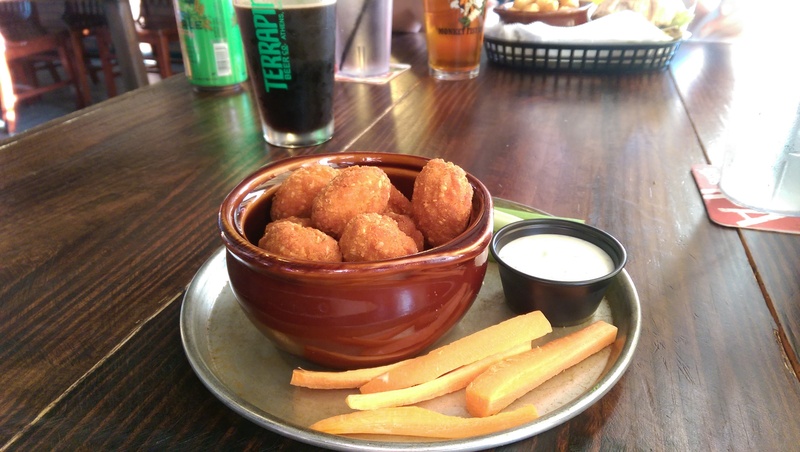 PO-TAY-TOES for tater tots)! 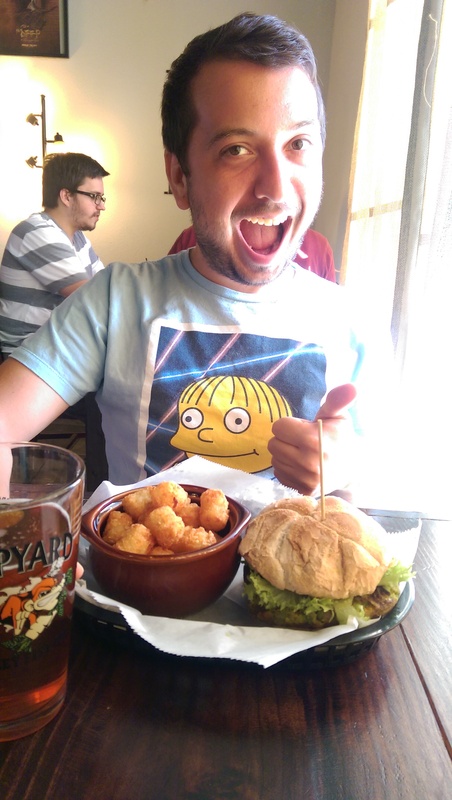 Overall, atmosphere alone is worth the trip, it was filled with a wide mix of people that I didn’t expect to be in a gaming pub, along with a mix of people that I complete did expect to be in a gaming pub. It was nice to be in a place that didn’t feel exclusionary or pretentious. It was just a good time. Thank heavens we made it during Hobbit Hour. 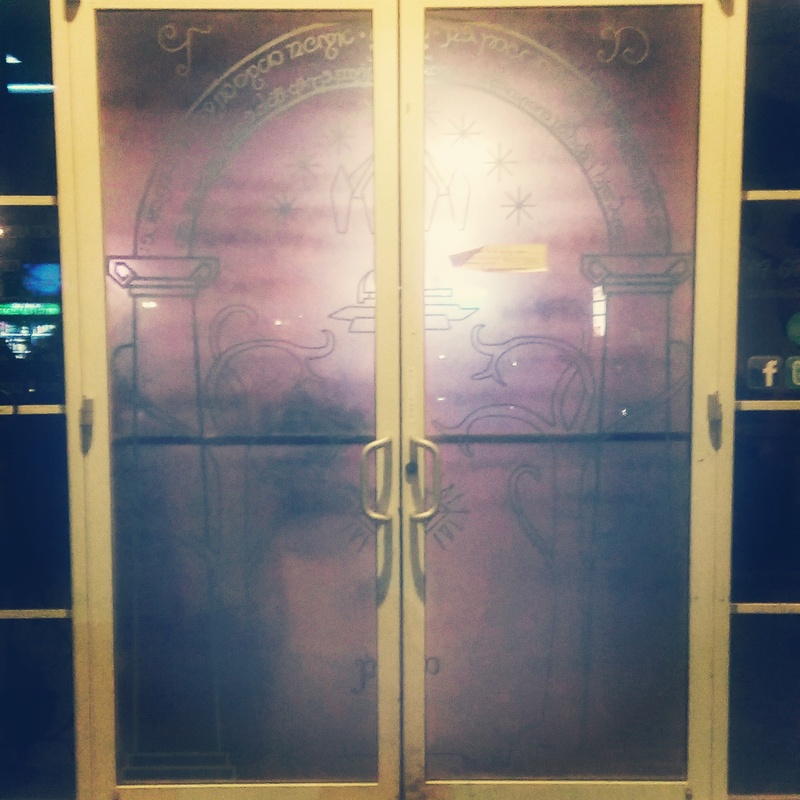 This entry was posted in Uncategorized and tagged #cloakandblaster, #gamer, #geek, #HarryPotter, #LordoftheRings, #pub, #StarWars, #TheHobbit, Orlando. Bookmark the permalink.